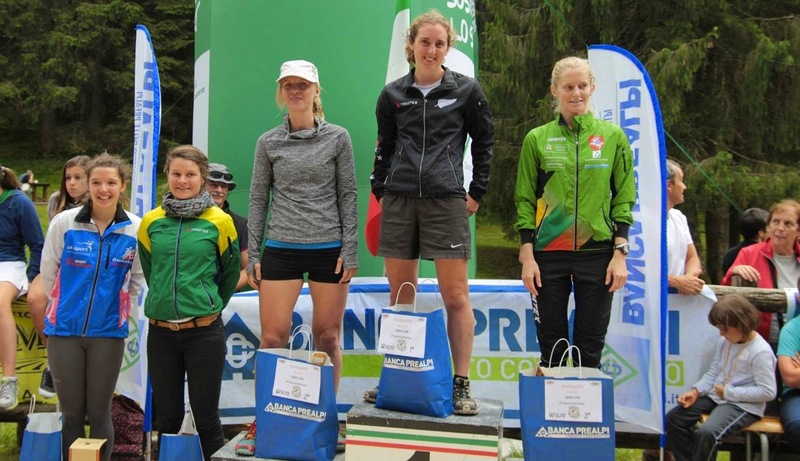 Image – Middle Podium (Photo Credit: Andrea Cardosi) Another year, another WOC, and here we are in sunny (but also very thundery) Italy on the Altopiano of Asiago in the foothills of the Dolomites. 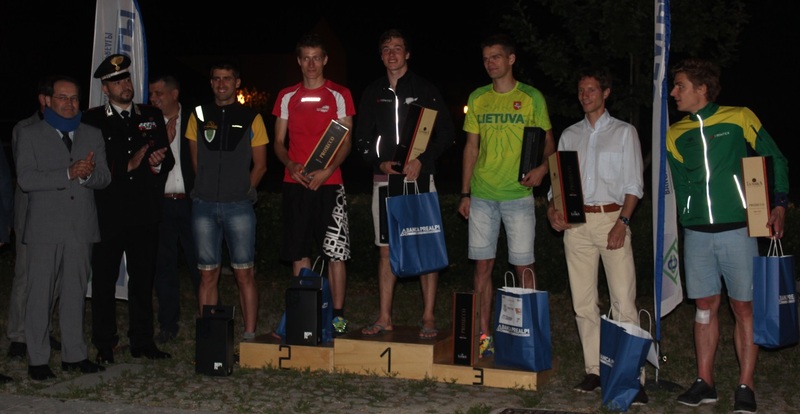 While Greta Knarston and Lizzie Ingham have been in Europe for about a month and are already quite familiar with the environs that WOC2014 will be held in, Tim Robertson flew in a week ago, Ross Morrison last Friday, and Imogene Scott only last night. The final team member, Matt Ogden, arrives later this week. Since the bulk of the team congregated in Fregona last Thursday we have had our final build up races for WOC as part of the Alpe Adria 2014 competition (a very superior, and international, version of the Frank Smith Trophy – you should see the size of the cup!). Team New Zealand, or the All Blacks as the race commentators keep referring to us (don’t tell Grant Dalton or NZRFU), have been so successful our two team cars are now laden down with 13.5 litres of wine, 3kg of pasta, 3.25 kg of cheese, and 4 chopping boards, courtesy of the generous prizes for the events! Things started last Friday with a WRE long distance in Cansiglio – a forested area of karst terrain, some of it incredibly intricate and detailed. 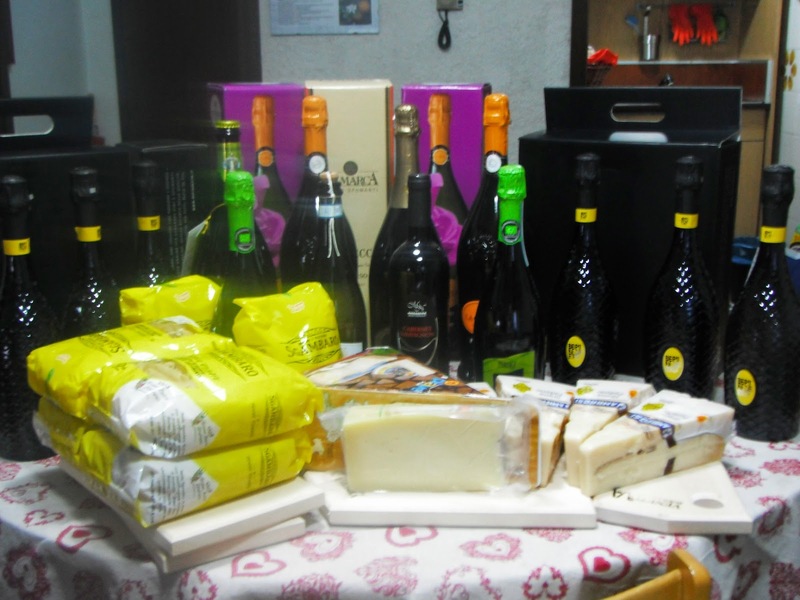 In fact our prize haul might have been bigger but for the fact that none of the team elected to run this properly, either opting not to start or running only a few legs as a stretch out. Saturday morning saw the Alpe Adria relay competition where Tim and Ross ran the first two legs comfortably, with an Italian W21 as the third leg runner. In W21E Lizzie ran first leg thinking it would be good practice for the mass start at WOC, but after 3 controls was on her own, coming in with a 3 minute lead. Travelling with us at this stage, are Laura and Anna Robertson, and Laura ran a good second leg, before Michele Dawson, borrowed from Australia, brought the team home in 3rd. It was the evening sprint, again a WRE, in the town of Conegliano, where the prize collecting really started. An interesting feature was the use for the elites of the SI-Air punching system – which actually means you don’t have to punch. You simply wave your SI chip at the box and it will register from about half metre away! Certainly makes punching faster and helps to maintain flow through the control. It will be used in the Sprint Relay at WOC next week.